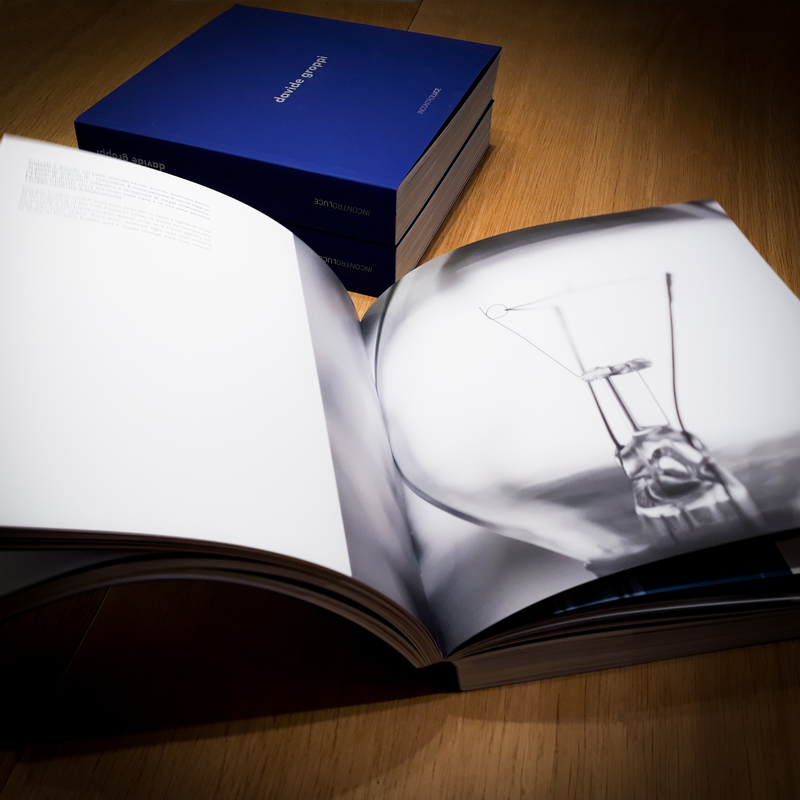 INCONTROLUCE is both a personal diary started in 1988 and a treasure map indicating a new point of departure towards innovative discoveries in the field of lighting. INCONTROLUCE is the story in pictures and words of thirty years of lighting projects. It’s light to see, but also light to feel. It’s the vision of light, as well as the emotion light inspires. INCONTROLUCE documents the career of Davide Groppi and his company, from the first creations with light bulbs to the latest projects involving electronic light. It documents the exploration and search for lamps that can see and feel the people and places they illuminate, that know how to provide light, how to move people’s feelings, how to tell a story. “Thirty years of light and lighting projects. It’s been a long time since I first started making lamps. Here I am considering what I have accomplished so far in…contro Luce, (meaning both “meeting light” and “through backlighting”) from my first experiences with light bulbs to our latest creations using electronic light. INCONTROLUCE was presented to the general public in one of the most exclusive establishments in the art world: The Peggy Guggenheim Collection in Venice. Davide Groppi’s company has been a member of Guggenheim Intrapresæ, a prestigious group of distinguished entrepreneurs founded in 1992, since last year. Guggenheim Intrapresæ organises activities and exhibits for the Peggy Guggenheim museum. The association between art and light is hardly casual. Davide Groppi has always considered art as an important inspiration for his work. He has developed a way of “thinking in light” over the years, thanks also to his passion for some of the world’s greatest artists–the light of Caravaggio, for example, and Fontana’s sense of contrast– which have stimulated original and innovative lighting projects. Davide Groppi will be organising a series of events and activities throughout Italy in 2019, with a particular emphasis on different places associated with light and illumination. Davide Groppi’s luminous journey (INCONTROLUCE places) will feature Davide Groppi as storyteller, narrating his stories of light. Because light is not only about illuminating places. Light is emotion, mystery and narration. _ Presented at The Peggy Guggenheim Collection in Venice.